Think snacks have matured, with little in the way of innovation? Then you obviously haven’t been paying attention to the annual Natural Products Expo West show. Every year, new products are revealed…and trends identified. Following this year’s show – running from March 10-12 – Claire Nuttall, a specialist in breakthrough innovation in the food and drink, weighed in on the most unique introductions and ongoing trends. 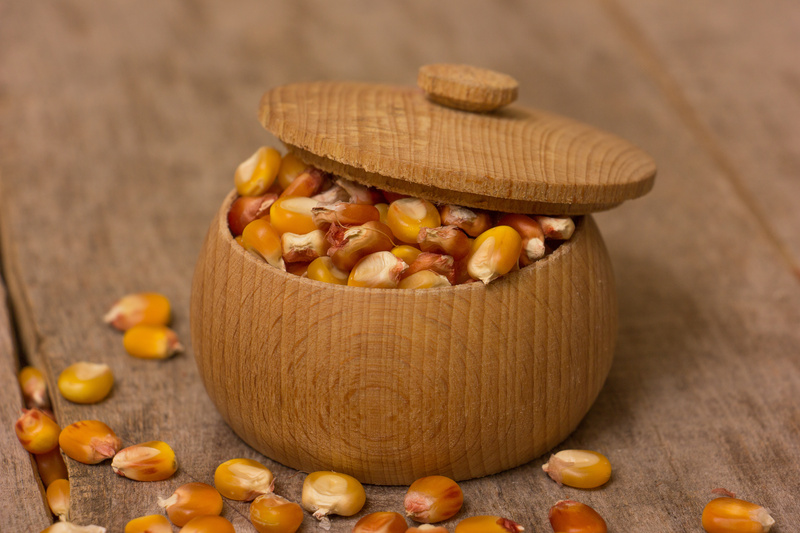 Is your favorite part of popcorn those crunchy bits typically found at the bottom of the bag? If so, you’re in luck. According to Nuttall, snack brands such as Mr.Popular and Half Pops, are introducing this half-popped variety. The thought behind this innovation is to combine the crunch of a tasty savory bite with the puffed corn texture. Also, there are several flavor combinations already available. There are many people who love the taste of popcorn, but can’t stand the hulls. Well, Null Hull popcorn promises to be “practically hulless.” Using black jewel corn, which is a smaller grain than typical popping corn and is black in appearance, creates a great white color when popped with no crispy outer hull. These will also available in several flavors available, such as regular, sea salt and cheddar. The combination of trail mix and jerky has been available for quite some time, but now producers are updating the product to offer an even better consumer experience. The problem with combining these products in the past has been the moisture migration between the jerky and trail mix pieces. Some manufacturers have started offering dual packs – with jerky in one pack and trail mix in the other – allowing the consumer to open and mix when ready to eat. Other suppliers are simply separating the jerky into a packet within the trail mix package. Regardless of the approach, both options are giving consumers a better tasting product. The overall hemp trend continues. There’s hemp rope, clothing, oil, lotion, shampoo…and now snacks. This was something that started gaining traction last year, but the momentum has only continued to grow. Today there are many new hemp snacks, with bars featuring hemp within or packets of flavored hemp offered as a standalone snack. Given the health benefits and growing popularity, this category is only predicted to get bigger in the years to come. 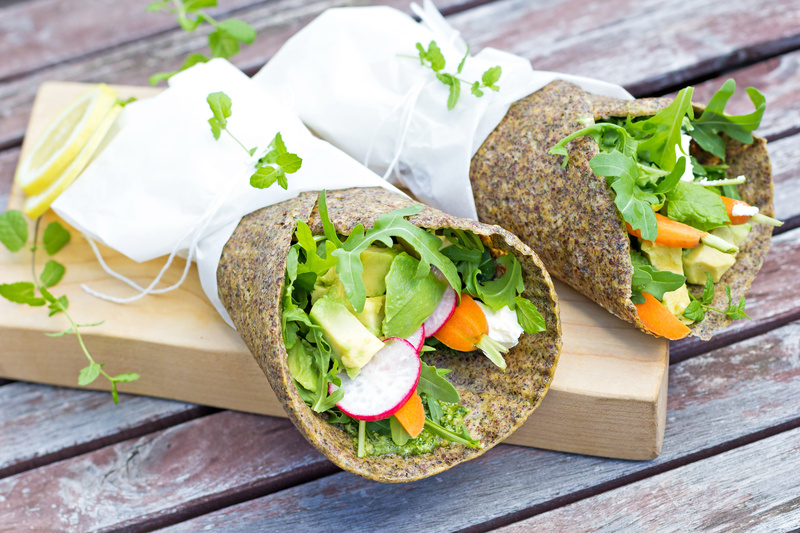 More and more people are avoiding bread, and turning to new, carb-free wrap options. The varieties are seemingly endless, with wraps made of kale, basil, pure coconut, and turmeric. There are also several brands now in this category, including Paleo, Blue Mountain Organics, Vito Coco and Nuco. The popularity of these wrap options is a further testament to the rapidly growing interest in healthier snacking options. The first into these categories showed promise in healthier snack options, but the many companies now entering the market show it’s a demand that can’t be ignored. Interested in exploring some of these new options for your snack service? Contact Healthy Vending NY at 917.572.3671 and we’ll be happy to show you what’s available in New York City.